A Help-U-Sell veteran, Jack Bailey has owned his franchise in Greensboro, N.C., since 1988. He’s seen many changes in real estate since then, from technology to the rise of buyers’ agencies, but his goal remains the same. One of his secret weapons is his buyer consultation, which he created more than 20 years ago when he realized his buyers didn’t have knowledge of real estate basics. “You have to become more of an adviser in these tough times than just someone who lists houses,” Bailey says. To that end, he coaches his potential buyers in the terms and the tricks of the industry that they’ll need to know. “It’s important for buyers to be educated as best they can,” he asserts. During the consultation, Bailey explains the buying process, negotiating techniques, types of loans and basics like closing costs and escrow accounts. “By the time we’re done, we’ll have a strategy for them,” he says. Not only does the consultation inform his clients, but it also inspires their confidence in themselves and in him. On the seller side, Bailey advises that you need to know your statistics and your facts. “Explain what’s going to happen in the market and how [you and the seller] need to strategize,” he suggests. Make sure you pick the best business model for you. Consider your strengths, your objectives and your market before deciding between running your office as a manager with agents and doing it all yourself. Build a good knowledge base of real estate and be constantly aware of what’s happening and what is projected to happen. Market very smartly, especially to your Centers of Influence. Focus on profitability, not just closings. We’re starting a new series that profiles successful Help-U-Sell brokers. The goal is to honor these brokers while at the same time offering insight and advice for all of our brokers and agents. 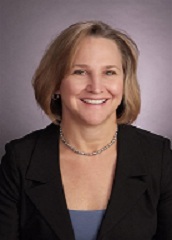 Our first Broker Focus profile subject is Karen Detwiler of Help-U-Sell Detwiler Realty in Pennsylvania. An almost 10-year real estate veteran, Karen started out as a part-time licensed assistant with a Help-U-Sell office while learning the ropes of real estate. In March 2005, she opened up her own Help-U-Sell office. Another tactic she has used, based on what she’s noticed in her market, is properly pricing a home at the beginning of the listing, “right along with that, making sure your listing outshines the competition in ‘showability.’” She has also observed buyers take more time looking at the inventory of homes available prior to making an offer on a property. Karen has a love for real estate, which shows in her work. “I believe real estate has to be a passion that you have inside of you,” she says. For new brokers, she offers great advice. • For those that got into real estate at the height of the market, this current market is a real adjustment. Start small. You don’t need a lot of agents, but the ones you have make sure they have the drive and stamina to succeed. • Focus on your clients, as they will be your best advertising! I found testimonials were a great tool. • Current and past clients always seem to know someone who is in need of buying or selling a home, so don’t be afraid to ask for referrals. If you have more advice to share, please comment below.